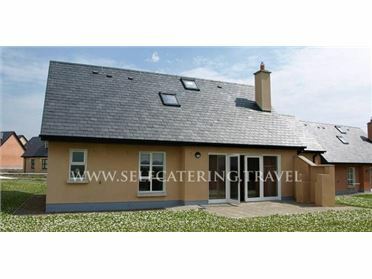 Ox Mountain View is a cosy detached cottage situated two miles from the picturesque village of Coolaney in County Sligo and can sleep four people in two double bedrooms. The rest of this ground floor property contains a family bathroom, a kitchen with dining area and woodburning stove, and a sitting room with open fire. To the outside of the property there is off road parking for three cars and a lawned garden to the side and rear. Ox Mountain View is a homely cottage ideal for couples looking for a peaceful break with an abundance of activities and attractions on the doorstep. The West of Ireland conjures up many images; thatched, whitewashed cottages, a flock of sheep on a narrow road, an emerald green field with a stone wall, or the Atlantic waves crashing into towering cliffs and rocky shores. .